Thanks to our highly-skilled workers, we are in a position to deliver the high standards of quality you require. Each manufacturing step is verified and documented during the production process. Calibrated measuring and testing systems, as well as an air-conditioned measuring laboratory with modern 3-D coordinate measuring devices, are used to verify production quality. 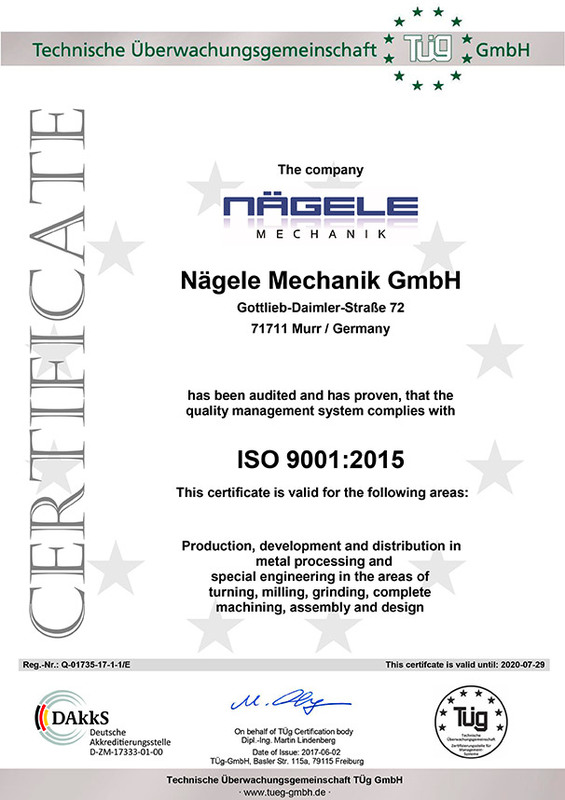 We are DIN ISO 9001 accredited.